This is a 7 inch colour rear view monitor. 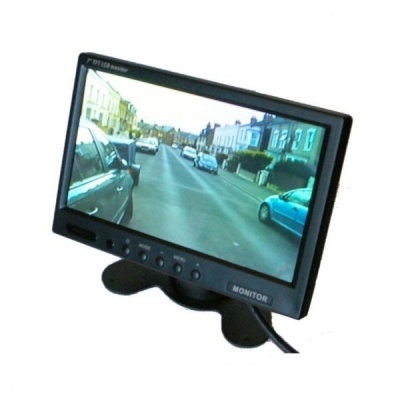 It is a 12 volt monitor and has RCA connectors for the video inputs. It is supplied with a power loom and is capable of taking 2 cameras. It has a butterfly style bracket for mounting to the dash. It also comes with a headrest frame that allows it to be flush mounted. Although new stock it is on clearance as they are an end of line item. They come with 12 months guarantee.